I was in labor. All day I had paced my new apartment as dear friends helped me unpack boxes and deck the walls with pictures and trinkets. They inquired about where to put things as I kept track of the protracted pains separated by mere minutes. We had just moved to accommodate our growing family, and we were praying my husband would be able to finish out the day at work to guarantee he wouldn't have to go back for two weeks. We were still a bit unprepared. He arrived home when labor pains were five minutes apart. I handed a stack of Christmas Cards to my friend, asked her to drop them off, and they bravely followed us to a place no one wants to go the night before Christmas Eve—Toys 'R Us. We screeched into the mega toy store's parking lot in a scramble to buy a car seat; our first child was arriving a week before the doctors predicted and we didn't have a way to take her home yet, at least, not any safe or legal method. Not wanting to remain in the car (reconsidering my plans for pain management), I shuffled wobbly into the toddler mecca. My husband explained the urgency of the situation to the seventeen year-old clerk who stole a rubbernecked, terrified glance at me before he rushed to retrieve what we needed. I labored on the quarter-fed dinosaur that guarded the doors to the child's dream world, as my husband paid for the travel system. Contractions were about four minutes apart and we were still not quite ready. We got to the hospital just in time. Everything went as smoothly as pushing another human out of your body can, and I cradled her in my arms in the early hours of Christmas Eve. 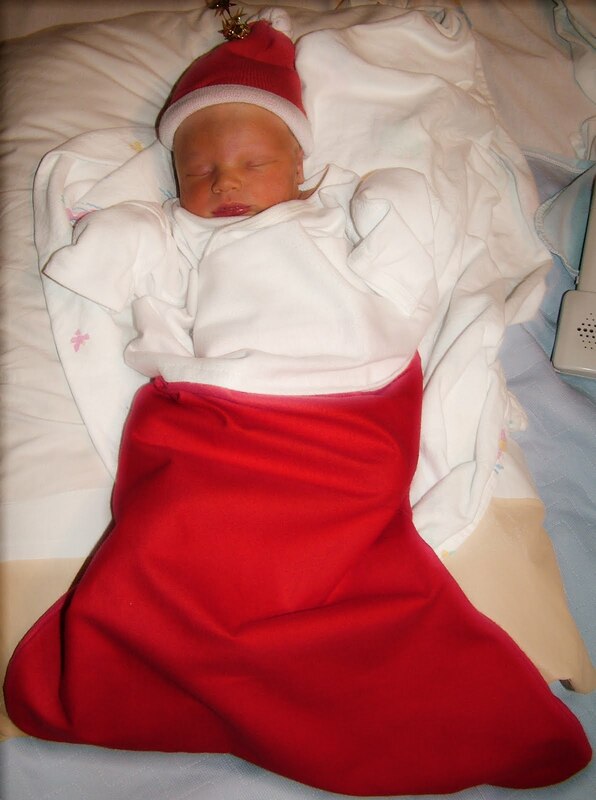 I knew I would love her, but as she laid against my chest swaddled in a stocking, I could feel my heart expanding. Nothing would ever be the same. 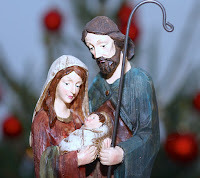 As Mary held her son in the company of animals and shepherds, God-come-down as a infant, she pondered the truths spoken to her from the mouths of angels and foretold by the prophets of old. She made room in her heart for this boy who would grow to redeem the world, but was she ready to give the trust that would be required? Would all her expectations of what life with Christ would look like be left behind in the wake of His majesty? So many had predicted His arrival and He was finally here — The Messiah, different than any anticipated but exactly who God said he would be. Not only did one mother's heart expand, but the whole of humanity was now invited into the greatest love ever offered. Nothing would ever be the same. Has life with Christ looked different than you imagined? This holiday season are you willing to prepare your heart for whatever comes next? Jesus' fulfillment of over 300 prophesies changed the world and gave it hope. Sometimes we don't feel ready for the things God calls us into, but if we make room for His glory in our lives we see that He knows exactly what He is doing. For he is the great author. The one who grants a world filled with pain this magnificent hope—He'll be back. It will not be when we expect, so be ready.
" Therefore you also must be ready, for the Son of Man is coming at an hour you do not expect." Thank you for your thoughts. We are so glad you are here!